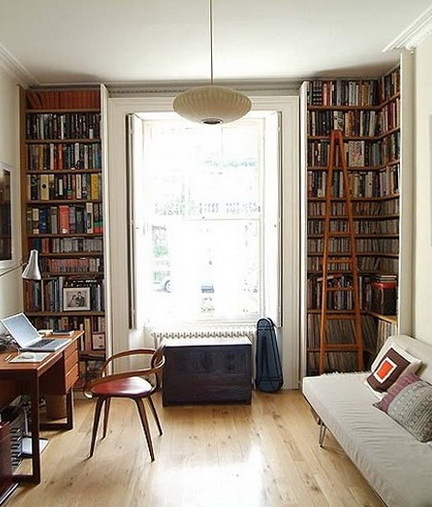 Books and magazines constantly strewn throughout the apartment, and sometimes it’s annoying, not all of course it happens at home, and some are laid out on store shelves and books in perfect condition. 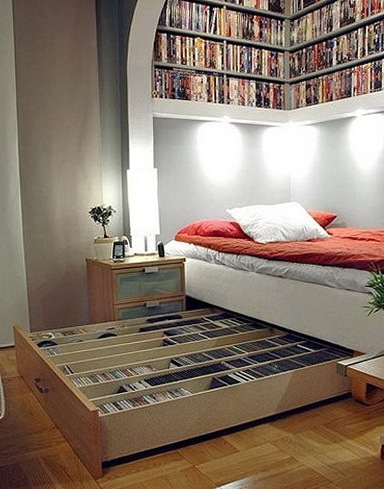 There are many beautiful and interesting options for storing books and magazines, and the shelves can be in different places, much unexpected. 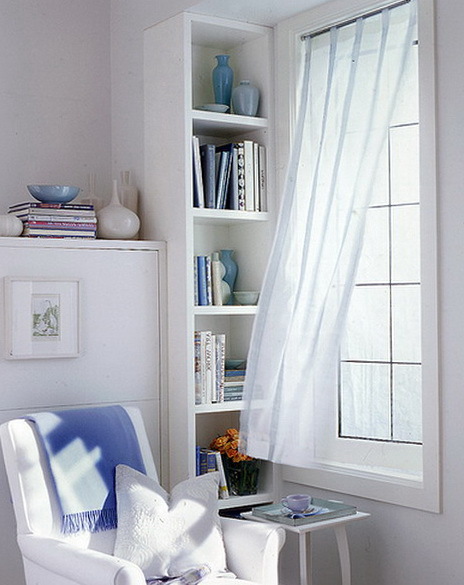 Books should be stored in places where you are from reading and use. The book is for many people – it’s a piece of the soul, or something really important. 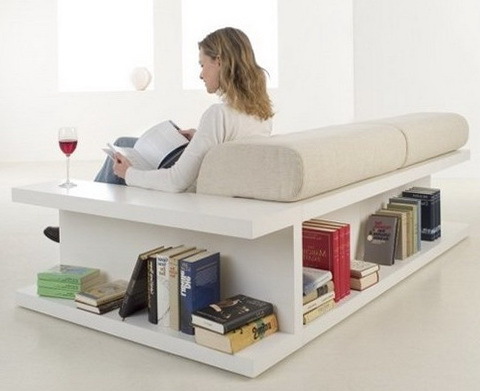 If you have multiple books, they are best kept in one room, and for this there are shelves on which the records are well located, as a rule, these racks can be the entire wall or built into the wall, there are also modular shelving, partitions, or for the room, which is very well replacing the wall and serve as a barrier and will be a bookshelf. 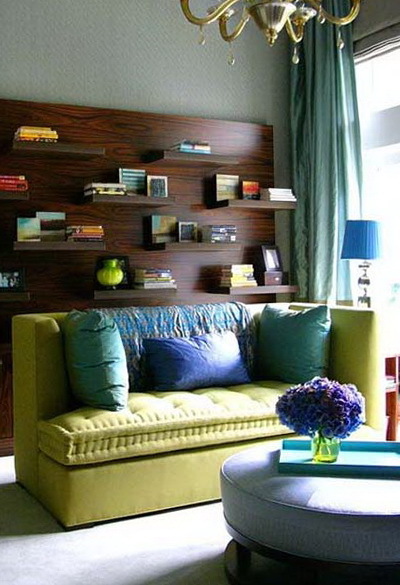 If you have a small number of books, you can keep them on a small shelf, or in a built-in sofa there are shelves which can be located conveniently to your favorite book. 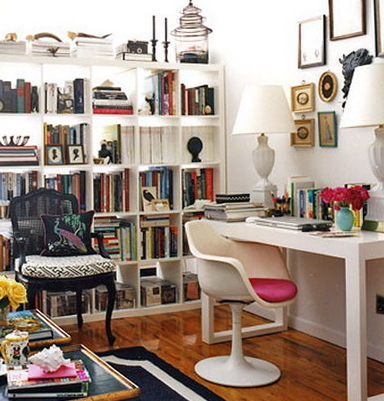 Some of the ideas are very interesting because the books can be stored in other rooms except the living room it can be: a bedroom, hallway, sitting room, or in the main office. 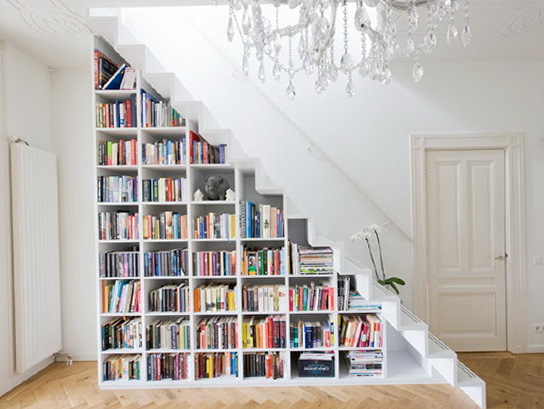 Now in stores a huge amount of choice of shelves and you can choose any of your choice and color, as long as they are not gathering dust from the void, and were filled with books. On the shelves you can store not only books, you can also fill the shelves of beautiful plants, small accessories, gifts, favorite cards, and just things that are sometimes nowhere to put it.